The Djinn Axess quickdraw is an incredibly durable and reliable 'draw that is particularly useful at you start your outdoor climbing journey. 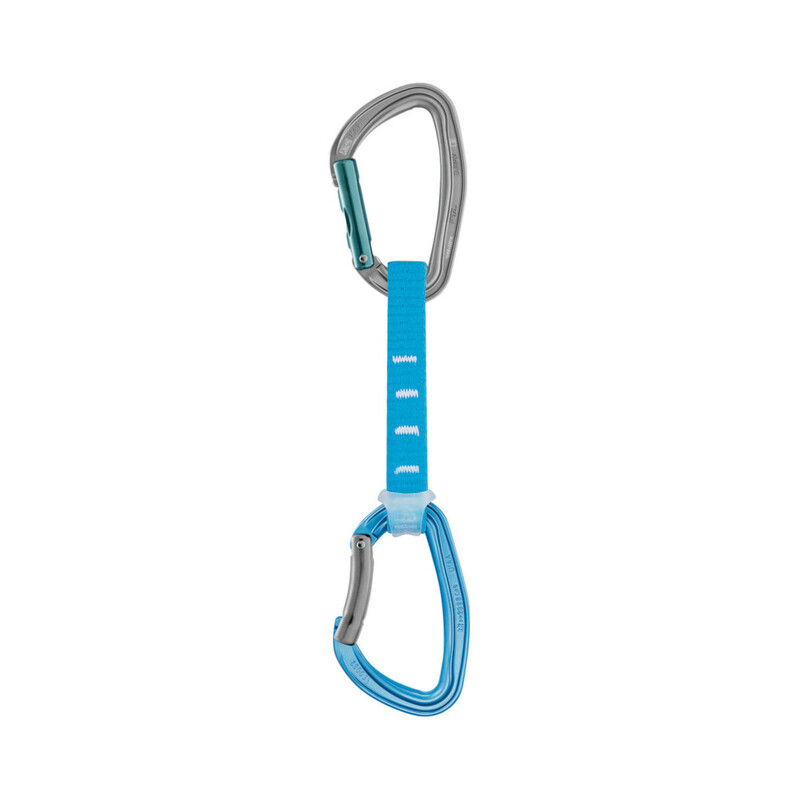 For easy anchor clipping, the top of the 'draw has a straight-gate DJNN carabiner with a specially designed nose shape, while the bottom of the anchor has a bent gate and is protected with a STRING sling to keep the carabiner in place. The keylock locking system stops the rope from snagging during use, helping your kit to last for longer. Straightforward, durable and useful, the Djinn Axess quickdraw is a great addition to your 'draw collection. I bought these quickdraws to withdraw the old ones I had. Nice quickdraw, smooth opening and light. Nothing more to expect! It's a fantastic product because is strong and light, and the price is good. The quality it Petzl is always superior. Im starting climbing and loved this quickdraw. Looks really good and easy to use. El articulo es como me lo esperaba, como siempre PELZL no defrauda nunca con su material, totalmente recomendado.